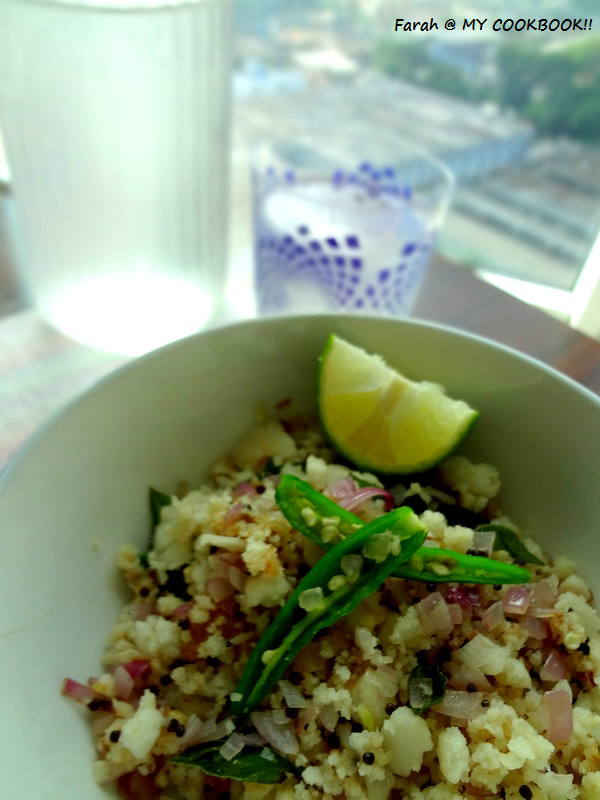 We've been making this recipe for idli uppuma at home ever since I can remember. We make it very often too and we're still not bored of eating this! This is the best recipe to follow when you have left over idlis from last night.....because, it tastes best when you use idlis kept in the fridge. Iv noticed that making idli uppuma from idlis made the same morning is not very tasty. (Wow.....Im so poetic :D) LOL!! Heat 1-2 tbsps oil in a wok. Add the mustard seeds and let it start popping. Add the urad dal and the curry leaves. Next add the onions and keep stiring till they brown slightly. 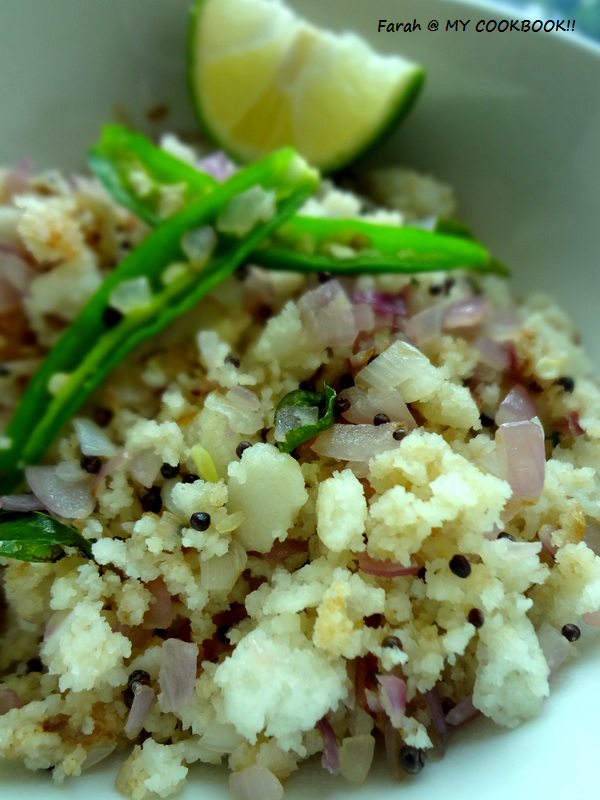 Add the crumbled idlis and stir for about 2 mins till the idlis are well coated with the onions. true they come in so handy with left over idlis and they are quick & easy to make too.. nice! Very simple yet delicious recipe. healthy and very light snack..
one of my fav recipe...looks very appetizing! Simply love this upma,my favourite too.